Highwater, Jamake. Shadow Show. An Autobiographical Insinuation. Inscribed by the author. New York. Alfred van Der Marck. 1986. Octavo. Hardcover. First edition. Inscribed by the author. Fine copy (owner name on end paper) in fine dust jacket (in mylar). Hilarion. The Letters of Paul. A New Spiritual World View. Ashland. Triad Pub. 1989. 340 pps. Octavo. Soft cover. First edition. Near fine copy (very light shelf wear). Hildenbrand, William. Guide to Research Collections of Former United States Senators. 1789-1982. Washington. United States Senate. 1983. 362 pps. 4to. Soft cover. First edition. Fine copy. Hildyard, Anne (ed). The Complete Book of Italian Cooking. Hundreds of Pasta, Pizza, and Risotto Dishes, Perfectly Prepared. Cuisines of the Mediterranean. Photo available. London. Quintet. 1997. 4to. Soft cover. First edition. Illustrated in black, white and color. Fine copy. Hildyard, Anne (ed). The Complete Book of Italian Cooking. Hundreds of Pasta, Pizza, and Risotto Dishes. Perfectly Prepared. Cuisines of the Mediterranean. Photo available. London. Quintet. 1997. 4to. Soft cover. First edition. Illustrated in black, white and color. Fine copy. Hill, Charleotte. Erotica. An Illustrated Anthology of Sexual Art and Literature. Photo available. New York. Carroll & Graf. 1993. 4to. Soft cover. Second edition. Illustrated in black, white and color. Fine copy. Hill, Christopher. Intellectual Origins of The English Revolution. Photo available. Oxford. Oxford University Press. 1966. Octavo. Hard cover. Fine copy. Hill, Conover. Antique Oak Furniture. An Illustrated Value Guide. Paducah. Collector Books. 1980. 123 pps. 4to. Soft cover. Revised edition. Illustrated. Fine copy. Hill, Dorothy. Abraham. His Heritage and Ours. Photo available. Boston. Beacon Press. 1957. 208 pps. Octavo. Hardcover. First edition. Illustrated. Fine copy in very good (edge chipped) dust jacket (in mylar). Hill, James. Rita Hayworth. A Memoir. London. Robson. 1983. Octavo. Hard cover. First edition. Illustrated. Fine copy in fine dust jacket (in mylar). Hill, Lewis. Bulbs. Four Seasons of Beautiful Blooms. Photo available. Pownal. Storey. 1994. Octavo. Soft cover. Illustrated in black, white and color. Fine copy. Hill, Lewis. Pruning Simplified. A Complete Guide to Pruning trees, Shrubs, Bushes, Hedges, Vines, Flowers, Garden Plants, Houseplants, and Bonsai. Emmaus. Rodale. 1979. Octavo. Hard cover. First edition. Illustrated. Fine copy in fine dust jacket (in mylar). Hill, Napoleon. 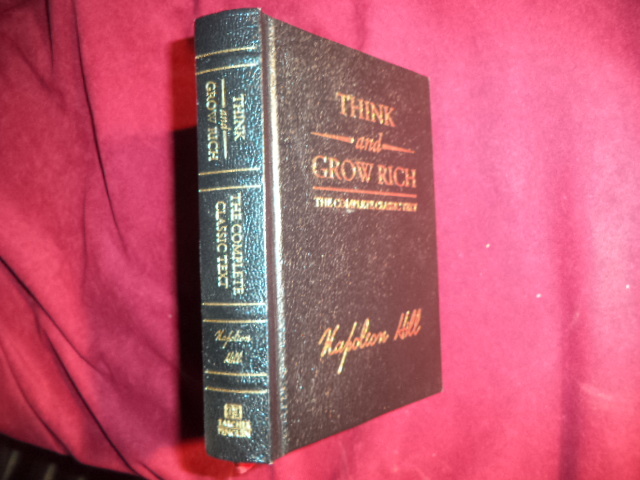 Think and Grow Rich. Photo available. No. Hollywood. Wilshire Book Co. 1966. 256 pps. Octavo. Soft cover. Reprint. Fine copy. Hill, Napoleon. Think and Grow Rich. Photo available. Greenwich. Fawcett. 1963. 256 pps. Octavo. Soft cover. Reprint. Fine copy. Hill, Napoleon. 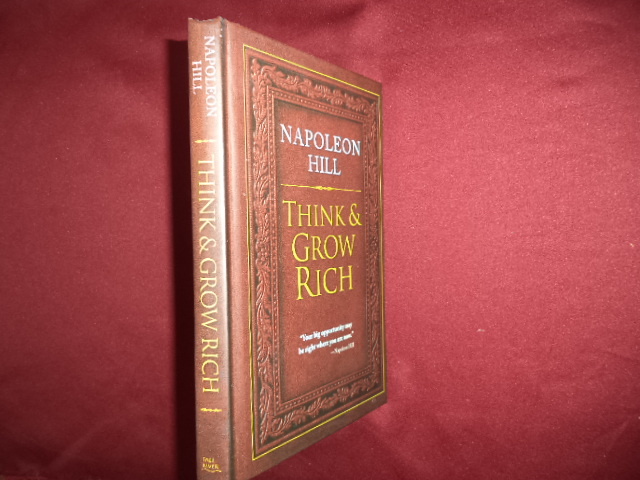 Think and Grow Rich. Photo available. New York. Fall River Press. 2012. 191 pps. Octavo. Hardcover. Reprint. Fine copy (several dog eared pages). Hill, Napoleon. 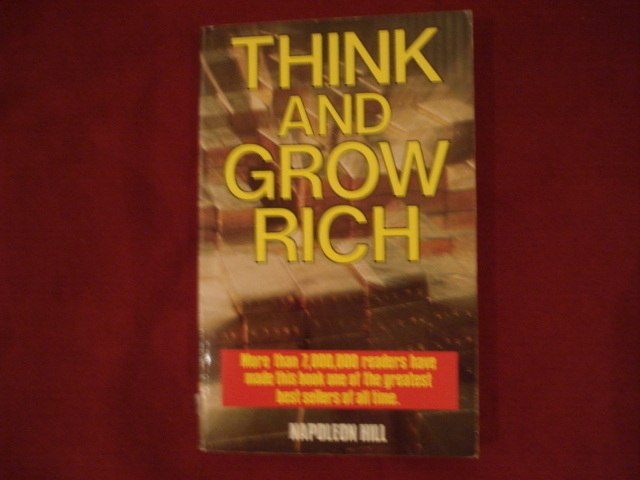 Think and Grow Rich. Photo available. np. Soho Books. 1966. 235 pps. Octavo. Soft cover. Reprint. Important reference work. Fine copy. Hill, Napoleon. Think and Grow Rich. Deluxe Edition. The Complete Classic Text. Photo available. New York. Jeremy P. Tarcher. 2008. 378 pps. Octavo. Gilt decorated hard cover. Gilt edges. First edition thus. Important reference work. Fine copy. Hillaby, John. Journey to the Jade Sea. Photo available. London. The Adventurers Club. 1965. 234 pps. Octavo. Hardcover. Reprint. Important reference work. Fine copy in fine dust jacket (in mylar). Hilliard, David C. Trademarks and Unfair Competition. New in shrink wrap. Seventh Edition. Photo available. New York. LexisNexis. 2008. 4to. Hardcover. Fine copy in shrink wrap. Hilliard, David. This Side of Glory. The Autobiography of David Hilliard and the Story of the Black Panther Party. Photo available. Boston. Little, Brown Co. 1993. Octavo. Hard cover. First edition. Illustrated. Fine copy (blind stamp on end paper) in fine dust jacket (in mylar). Hilton, Stanley. Senator for Sale. An Unauthorized Biography of Senator Bob Dole. New York. St. Martin's Press. 1995. Octavo. Hard cover. First edition. Fine copy (owner blind stamp) in fine dust jacket (in mylar). Hinckley, Jack & Joan. Breaking Points. Photo available. Grand Rapids. Chosen Books. 1985. Octavo. Hard cover. First edition. Fine copy in near fine (light shelf wear) dust jacket (in mylar). Hinckley, Jack and Jo. Breaking Points. John Hinckley. Grand Rapids. Chosen Books. 1985. 375 pps. Octavo. Hardcover. Fine copy in near fine dust jacket (in mylar). Hinde, Thomas (ed). 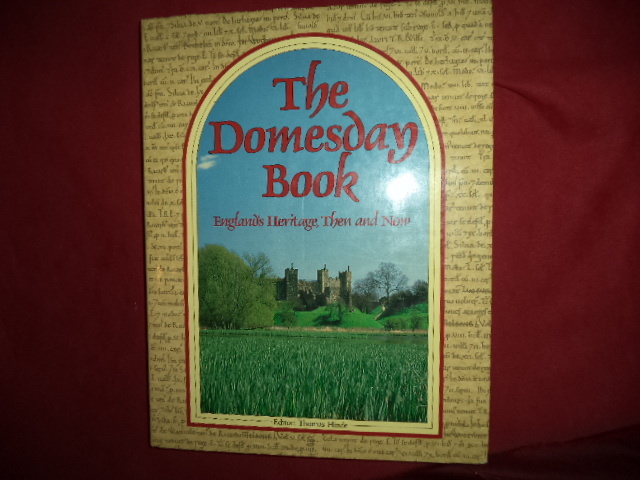 The Domesday Book. England's Heritage, Then and Now. Photo available. New York. Crown Pub. 1985. 4to. Hard cover. First edition. Illustrated in black, white and color. Important reference work. Fine copy in fine dust jacket (in mylar). Hinde, Thomas (ed). 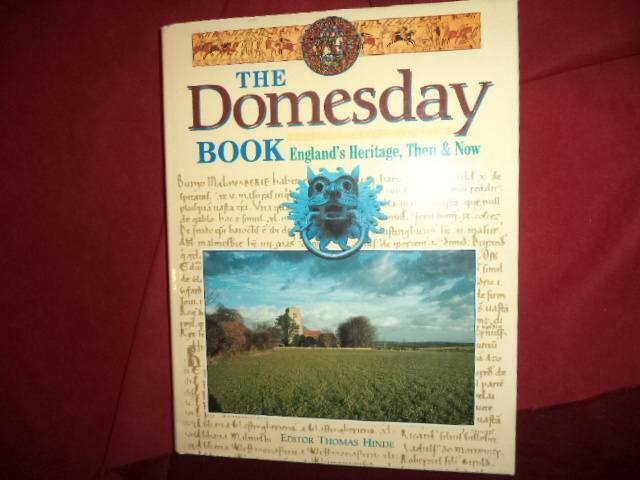 The Domesday Book. England's Heritage, Then and Now. Photo available. Wayne. BHB 1985. 4to. Hard cover. First edition. Illustrated in black, white and color. Important reference work. Fine copy in fine dust jacket (in mylar).